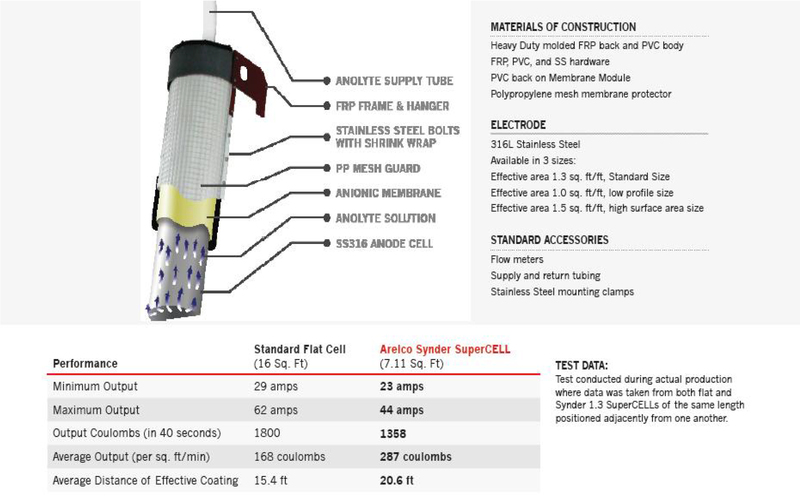 Synder Filtration’s SuperCELLTM is a heavy duty, lightweight, one piece C-Cell anode cell designed for optimum paint coverage in large electrocoat paint tanks. 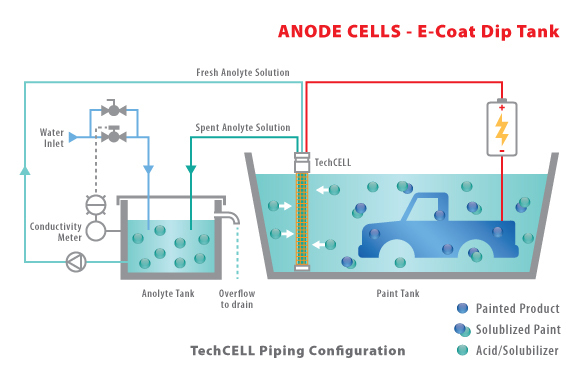 It offers incredible efficiency and performance with 100% of the cell facing the job and is thus the most economic option for large volume paint tanks. Heavy duty, light weight, and in one piece to ensure easy lifting and simple power cable connections. Available in four different sizes, including a low profile option for tanks with limited clearance between the part and tank wall. 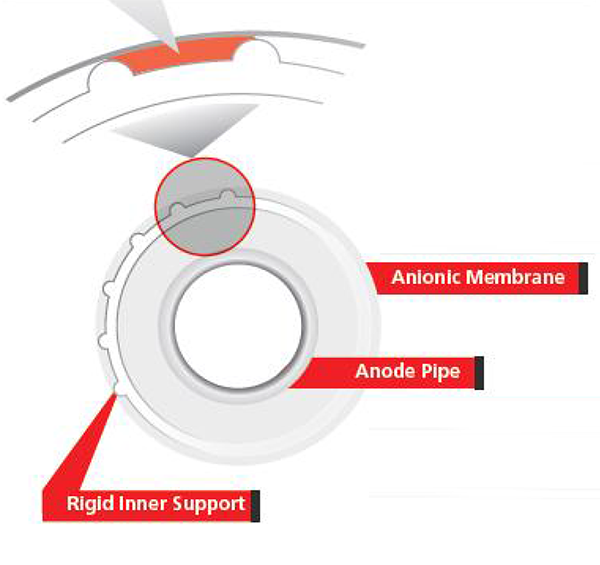 Annular space between membrane and inner support greatly improves rinsing of membrane to reduce foulants, such as iron oxide. This in turn minimizes build up of electrical resistance on the membrane. Materials Available: Stainless steel, seamless; Ruthinium Oxide; Iridium Oxide. The Super CELLTM offers a greater range of electrical “throw angles” vs. flat cells. A greater variety of throw angles can significantly improve the coating quality and coverage in hard to reach areas of the part. More throw angles also allow the anode to start painting sooner in monorail systems.